The new Wire album Silver/Lead is being released in 3 physical formats, CD, Vinyl and Special Edition - a hard backed 80 page case bound book, with text by Graham Duff, extended credits, lyrics and lots of colour photos as well as the CD. This format will be only produced in limited quantities but unlike The Change Becomes Us Special Edition with which it shares a format, it will be also available in selected independent record shops. 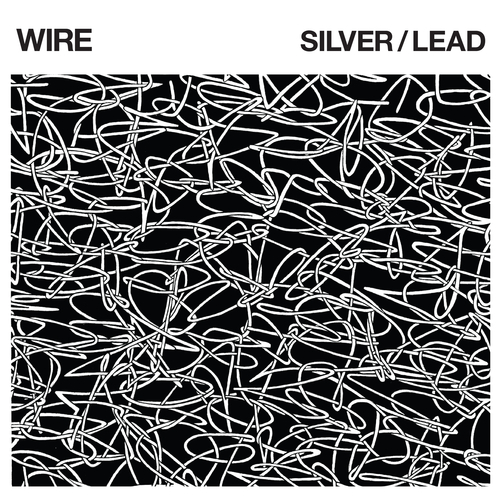 Silver/Lead is the 15th studio album from musical pioneers Wire. It arrives on the 40th anniversary of their debut performance. Yet it's about as far from nostalgia as you could get. This is the sound of a uniquely addictive 21st century psychedelic post-punk. Colin Newman and Matt Simms' guitar work is alternately jagged and luminous, while bassist Graham Lewis's ear-catching lyrics are vivid yet oblique. Meanwhile, drummer Robert Grey provides a virtual masterclass in percussive minimalism. But it's how the various instruments mesh together that really counts. And Newman's production creates a sonic space in which even the smallest gesture is accorded some recognition. Highlights include the optimistic dazzle of 'Diamonds In Cups', with its almost T. Rex-style buzz and chug, and the moody swing of 'This Time'. Elsewhere on the musical spectrum, there's the menacing widescreen grandeur of 'Playing Harp for the Fishes' and breakneck-paced guitar pop of 'Short Elevated Period'. Wire are one of the world's most ground-breaking bands, their influence acknowledged by bands as diverse as Blur, Sonic Youth, R.E.M. and Savages. But they have never been interested in exploiting past glories. For Wire, there is only ever one possible direction: forwards. So it's perhaps not surprising that over recent years, they've played strings of sold-out shows, achieved career-best record sales, and been cited as a strong influence by yet another generation of bands. Wire's last three albums garnered nothing but rave reviews. From 2013's strangely beautiful Change Becomes Us ("It's fantastic." - Pitchfork) to the crackling motorik of 2015's Wire ("It's all really well turned, potent and crisp." - The Guardian), and last year's punchy mini-album Nocturnal Koreans ("It's a cracker and sounds defiantly modern." - The Quietus). Consequently, although it may be being released on the band's 40th anniversary, Silver/Lead is an album which has nothing to do with the past and everything to do with the future. Unfortunately at this time we can't offer all the Wire - Silver/ Lead tracks as individual flacs, as some of these tracks exceed the shops maximum (9mins) download length.